They knew that they had to respond immediately. The writ would dominate the next day’s news, and Apple had to have a response. “Tim knew that this was a massive decision on his part,” Sewell said. It was a big moment, “a bet-the-company kind of decision.” Cook and the team stayed up all night—a straight 16 hours—working on their response. Cook already knew his position—Apple would refuse—but he wanted to know all the angles: What was Apple’s legal position? What was its legal obligation? Was this the right response? How should it sound? How should it read? What was the right tone? For the next two months, the executive floor at One Infinite Loop turned into a 24/7 situation room, with staffers sending out messages and responding to journalists’ queries. One PR rep said that they were sometimes sending out multiple updates a day with up to 700 journalists cc’d on the emails. This is in stark contrast to Apple’s usual PR strategy, which consists of occasional press releases and routinely ignoring reporters’ calls and emails. Cook also felt he had to rally the troops, to keep morale high at a time when the company was under attack. In an email to Apple employees, titled “Thank you for your support,” he wrote, “This case is about much more than a single phone or a single investigation.” He continued, “At stake is the data security of hundreds of millions of law-abiding people and setting a dangerous precedent that threatens everyone’s civil liberties.” It worked. Apple employees trusted their leader to make the decision that was right not only for them but also for the general public. Outside Apple’s walls, Cook went on a charm offensive. Eight days after publishing his privacy letter, he sat down for a prime-time interview with ABC News. Sitting in his office at One Infinite Loop, he sincerely explained Apple’s position. It was the “most important [interview] he’s given as Apple’s CEO,” said the Washington Post. “Cook responded to questions with a raw conviction that was even more emphatic than usual,” wrote the paper. “He used sharp and soaring language, calling the request the ‘software equivalent of cancer’ and talking about ‘fundamental’ civil liberties. Dieser Eintrag wurde veröffentlicht in Data Analystics, Privacy und getaggt mit Apple, FBI, Tim Apple, Tim cook am 18. April 2019 von innovation. Apple and Qualcomm surprisingly settled their legal dispute over chip patent payments Tuesday. Meanwhile, Intel, which has been providing modems for iPhones instead of Qualcomm, announced it would abandon its plans to make 5G modems. The moves on Tuesday show Apple had limited options to get to a 5G iPhone, and none of them were ideal. Here’s the good news for Apple. Its surprise settlement with Qualcomm on Tuesday over a yearslong patent spat means it’s now in a position to keep pace with its competitors to bring a 5G-ready iPhone to market as soon as this year. But even though Apple may win by getting a 5G iPhone to customers sooner than most people anticipated, it lost by settling with a company it loathes. Getting the iPhone to 5G means Apple was put in a sticky situation where it had to weigh four less-than-ideal options to make it all a reality. Option one: Settle with Qualcomm, the leader in 5G chips. Qualcomm’s 5G chips are already shipping in some devices today, with more expected as the year rolls on. But Apple has seen Qualcomm’s business model as detrimental to the entire industry since it uses its dominant position to squeeze large fees out of each company that uses its chips and patents. Hence that nasty lawsuit. Apple CEO Tim Cook made his disdain for Qualcomm’s practices known in a January interview with CNBC’s Jim Cramer, and even blasted Qualcomm’s decision to hire a PR firm to write fake news stories about Apple, which Business Insider reported. Option two: Wait for Intel to catch up in 5G. Even before Intel announced Tuesday night that it would abandon its plans to make 5G modems, there was speculation that the company was running behind to deliver the chips on time. Apple has been exclusively using Intel’s 4G modems in its latest iPhones as its dispute with Qualcomm raged on. If that dispute continued, a 5G iPhone might not have been possible until 2020 or even 2021. Option four: Apple could make its own 5G chips. Apple is thought to be working on its own modems after opening an office in San Diego, Qualcomm’s hometown, and posting job listings for modem chip designers. But it would likely take Apple several years to develop its own 5G chip, putting it several years behind its rivals. None of those options were ideal for Apple. It could’ve waited an extra year or two for Intel to get its 5G chips up to snuff. It could’ve waited several more years to develop a 5G chip of its own as competitors like Google and Samsung push out their 5G devices and market themselves as more innovative than Apple. It could’ve worked with Huawei, a company that still can’t sell products in the U.S. over security concerns. Or it could’ve ended its dispute with Qualcomm, even if Cook is allergic to its business practices. Unfortunately for Apple, Qualcomm was the best bet. Qualcomm gets to take a victory lap this week. Its lead in 5G forced a settlement with Apple and added a massive boost to its stock. Qualcomm shares was up 12% Wednesday, adding to its 23% gain Tuesday. Intel was up about 4%. Apple was up just 1%. The market agrees. Apple was the loser in this fight. Dieser Eintrag wurde veröffentlicht in Wirtschaft und getaggt mit Apple, Qualcomm am 18. April 2019 von innovation. Apple will be around for a long time. But the next Apple just isn’t Apple. If you re-read the first few chapters of The Innovator’s Dilemma and you insert “Apple” every time Clayton Christensen mentions “a company,” a certain picture emerges: Apple is a company on the verge of being disrupted, and the next great idea in tech and consumer electronics will not materialize from within the walls of its Cupertino spaceship. The Innovator’s Dilemma, of course, is about the trap that successful companies fall into time and time again. They’re well managed, they’re responsive to their customers, and they’re market leaders. And yet, despite doing everything right, they fail to see the next wave of innovation coming, they get disrupted, and they ultimately fail. 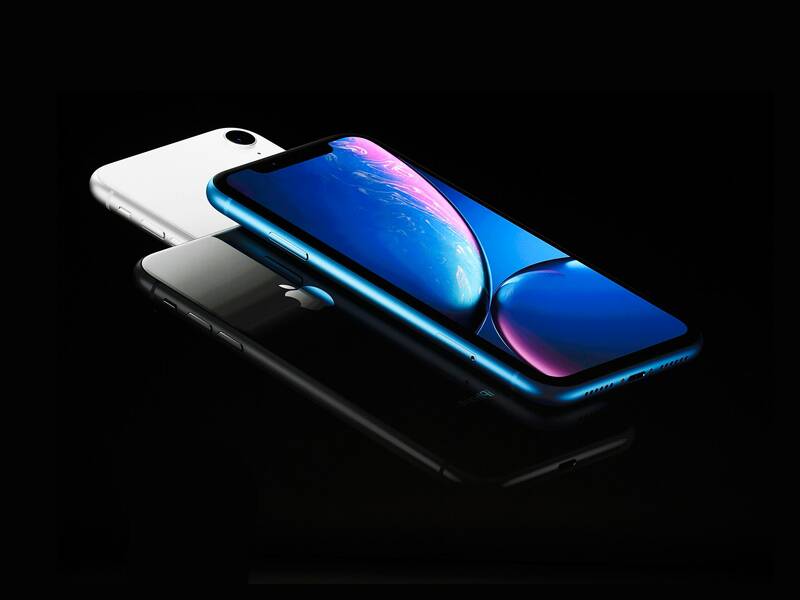 Then think about the iPhone, which, despite some consumer-unfriendly advances like the lost headphone jack and ever-changing charging ports, has also been adjusted and tweaked and frozen by what customers want: bigger screens, great cameras, ease of use, and a consistent interface. And the bulk of Apple’s investment since 2007, when the iPhone came out, has been about maintaining, developing, and selling this one device. In the last quarter of 2018, the iPhone accounted for $51 billion of Apple’s $84 billion in revenue. 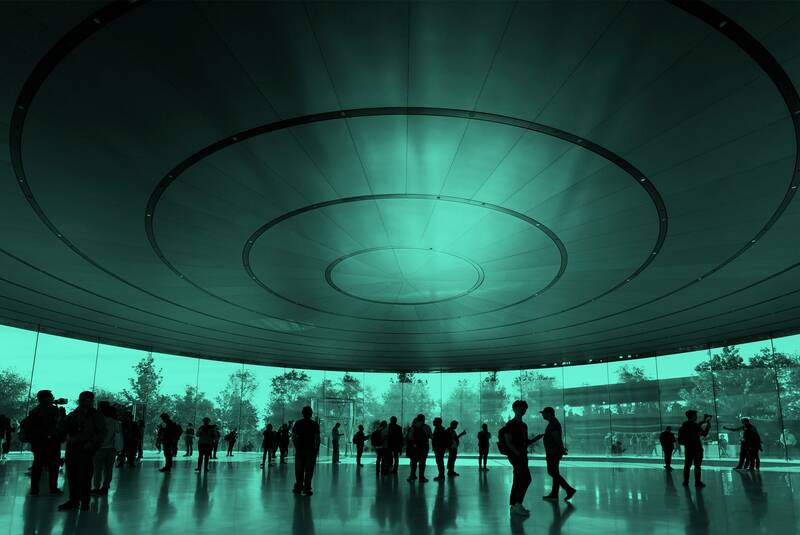 Its success, the economic halo around it, and its seeming invincibility since its launch have propelled Apple to heights few companies have ever imagined. But the device will also be its undoing. So even something like Apple’s Services segment—the brightest non-iPhone spot in its earnings lately—mostly consists of services that benefit the iPhone. It’s Apple Music, iTunes, iCloud—and although Apple doesn’t break out its numbers, the best estimate is that a third or more of its Services revenue is driven by the 30 percent cut it takes from … yep, apps downloaded from the App Store. The other bright spot in the company’s latest earnings report is its Wearables, Home, and Accessories category. Here again, Apple doesn’t break out the numbers, but the wearables part of that segment is where all the growth is, and that means Apple Watches. And you know what’s still tied nice and tight to the iPhone? Apple Watches. Even Apple’s best-selling accessories are most likely AirPods, which had a meme-tastic holiday season and are, safe to say, used mostly in conjunction with iPhones. (I’d bet the rest of the accessories dollars are coming from dongles and hubs, since there’s nary a port to be found on any of its new MacBooks.) As for stand-alones, its smart speakers are reportedly great, but they’re not putting a dent in Amazon or Google, by latest count. Apple TV, sure. Fine. But Roku shouldn’t have been embedded in a TV before Apple was. And none of these efforts count as a serious attempt at diversification. You may be tempted to argue that Apple is, in fact, working on other projects. The Apple acquisition rumors never cease; nor do the confident statements that the company definitely, absolutely, certainly has a magical innovation in the works that will spring full grown like Athena from the forehead of Zeus any day now. I’m here to say, I don’t think there’s a nascent warrior goddess hiding in there. Witness Apple’s tottering half-steps into new markets that are unrelated to the iPhone: It was early with a voice assistant but has stalled behind Amazon and even Google Assistant. It wasn’t until last year that the company hired a bona fide machine-learning expert in John Giannandrea, former head of search and AI at Google—and he didn’t get put on the executive team until December 2018. That’s late. There’s its half-hearted dabble in self-driving technology that was going to be a car, then became software, then became 200 people laid off. Its quailing decade-long attempt to build a streaming service would be sort of comical if there weren’t clearly so much money being thrown around, and so tentatively at that. Rumors of its launch go back as far as 2015, although now it’s supposed to launch in April—this time they mean it. But even if the streaming service actually arrives, can it really compete against YouTube, PlayStation, Sling, DirecTV, Hulu, and just plain old Netflix? Apple’s original programming is also apparently “not coming as soon as you think.” Analysts are, at this point, outright begging Apple to buy a studio or other original content provider, just to have something to show against Netflix and Amazon originals. Of course, lots of companies innovate through acquisition, and everyone loves to speculate about what companies Apple might buy. Rumors have ranged from GoPro to BlackBerry to Tesla to the chipmaker ARM. Maybe Netflix. Maybe Tesla. Maybe Disney. Maybe Wired. (Apple News is a hugely successful product … mostly on iPhones, of course.) But at every turn, Apple has declined to move, other than its $3 billion Beats buy in 2014 (which it appears to be abandoning, or cannibalizing, these days). Now, let me be clear, once again. None of this is to suggest that Apple is doing anything wrong. Indeed, according to Christensen, one of the hallmarks of the innovator’s dilemma is the company’s success, smooth operations, great products, and happy customers. That’s one of the things that makes it a dilemma: A company doesn’t realize anything’s wrong, because, well, nothing is. Smartphone sales may be slowing, but Apple is still a beloved brand, its products are excellent, its history and cachet are unmatched. But that doesn’t mean it has a plan to survive the ongoing decline in global smartphones sales. The Innovator’s Dilemma does say an entrenched company can sometimes pull out of the quicksand by setting up a small, autonomous spinoff that has the power to move fast, pursue markets that are too small to move the needle for a company making $84 billion a quarter, and innovate before someone else gets there first. You see what I’m saying here: brilliant team with a long record of execution and unparalleled success. Possibly not a lot of fresh ideas. And then there’s the final option for innovation, one that Apple has availed itself of many times in the past. As Steve Jobs often said, quoting Picasso: “Good artists copy; great artists steal.” The iPod was born of existing MP3 players; the iPhone improved on clunky, ugly smartphones already on the market. The MacOS and the computer mouse were developed to maturity (yes, with permission) after being invented at Xerox PARC. So maybe Apple will find the hottest thing in tech that’s still slightly unknown and come out with a better version. But is there such a thing as a way-sexier cloud computing business? I guess it’s possible that the rumored virtual- and augmented-reality headset that Apple is supposed to release in 2020 will take the world by storm and popularize VR in a way that no one imagined, and like AirPods, will take a look that’s painfully dorky on the surface and turn it into a not-quite-ironic must-have statement of affluence and cool. It’s happened before. But this time, I think the company will get beaten to that punch—or whatever punch is next. Apple will be around for a long time. But the next Apple just isn’t Apple. Dieser Eintrag wurde veröffentlicht in Corporate Culture, Disruption, Gadgets, Innovation, Innovatoren, Kreativität, Wirtschaft und getaggt mit Apple, Steve Jobs am 2. Februar 2019 von innovation. Apple on Wednesday warned investors that its revenue for the last three months of 2018 would not live up to previous estimates, or even come particularly close. The main culprit appears to be China, where the trade war and a broader economic slowdown contributed to plummeting iPhone sales. But CEO Tim Cook’s letter to investors pointed to a secondary thread as well, one that Apple customers, environmentalists, and even the company itself should view not as a liability but an asset: People are holding onto their iPhones longer. That’s not just in China. Cook noted that iPhone upgrades were “not as strong as we thought they would be” in developed markets as well, citing “macroeconomic conditions,” a shift in how carriers price smartphones, a strong US dollar, and temporarily discounted battery replacements. He neglected to mention the simple fact that an iPhone can perform capably for years—and consumers are finally getting wise. A few factors contribute to the trend, chief among them the shift from buying phones on a two-year contract—heavily subsidized by the carriers—to installment plans in which the customer pays full freight. T-Mobile introduced the practice in the US in 2014, and by 2015 it had become the norm. The full effects, though, have only kicked in more recently. People still generally pay for their smartphone over two years; once they’re paid off, though, their monthly bill suddenly drops by, say, $25. Bottom line: If your service is reliable and your iPhone still works fine, why go through the hassle? Meanwhile, older iPhones work better, for longer, thanks to Apple itself. When Apple vice president Craig Federighi introduced iOS 12 in June at Apple’s Worldwide Developers Conference, he emphasized how much it improved the performance of older devices. Among the numbers he cited: The 2014 iPhone 6 Plus opens apps 40 percent faster with iOS 12 than it had with iOS 11, and its keyboard appears up to 50 percent faster than before. And while Apple’s battery scandal of a year ago was a black mark for the company, it at least reminded Apple owners that they didn’t necessarily need a new iPhone. Eligible iPhone owners found that a $29 battery replacement—it normally costs $79—made their iPhone 6 feel something close to new. In the near term, these dynamics aren’t ideal for Apple; its stock dropped more than 7 percent in after-hours trading following Wednesday’s news. But it’s terrific news for consumers, who have apparently realized that a smartphone does not have a two-year expiration date. That saves money in the long run. And pulling the throttle back on iPhone sales may turn out to be equally welcome news for the planet. According to Apple’s most recent sustainability report, the manufacture of each Apple device generates on average 90 pounds of carbon emissions. Wiens suggests that the creation of each iPhone requires hundreds of pounds of raw materials. Which raises a question: Why does Apple bother extending the lives of older iPhones? The altruistic answer comes from Lisa Jackson, who oversees the company’s environmental efforts. Given a long enough horizon, Apple may see a financial benefit from less frequent upgrades as well. An iPhone that lasts longer keeps customers in the iOS ecosystem longer. That becomes even more important as the company places greater emphasis not on hardware but on services like Apple Music. It also offers an important point of differentiation from Android, whose fragmented ecosystem means even flagship devices rarely continue to be fully supported beyond two years. That’s cold comfort today and doesn’t help a whit with China. But news that people are holding onto their iPhones longer should be taken for what it really is: A sign of progress and a win for everyone. Even Apple. Dieser Eintrag wurde veröffentlicht in Gadgets, Marketing, Social Media, Web, Wirtschaft und getaggt mit Apple am 28. Januar 2019 von innovation. Last fall, Apple Chief Design Officer Jony Ive was asked what he would do if he weren’t designing for Apple. Last Sunday, the London hotel Claridge’s unveiled its annual Christmas tree installation. It was designed by Ive. But people who know the company well are starting to suggest that Ive has been taking more of a backseat role and may not even be deeply involved in product design anymore, which was where he made his biggest mark on the company. „I’ve heard that he has lately been checked out or not as directly involved with product design, and that he’s been largely focused on architecture,“ Apple watcher John Gruber told Jason Snell, the former editor of Macworld, during a podcast last week. Ive is mostly working on the new retail stores and working closely with head of retail Angela Ahrendts, Snell said he’s heard. There isn’t a whole lot of evidence one way or the other. But a new glossy book taking a look back at Ive’s best designs is certainly stoking the speculation. During Apple’s meteoric rise from 2000 to 2011, Ive was at Steve Jobs‘ side. He ran Apple’s industrial design department, which was empowered to imagine products like the iPhone. Ive often gave concepts to Apple’s engineering department, telling them to make the product design possible, which is counter to how industrial design works at other high-tech firms. Ive considered himself Jobs‘ closest friend, and he is still seen as a critical person for the company. His 20-person team designed every single one of Apple’s iconic products in the past 15 years, from the iPod to the iPhone. If Ive were to retire officially, it could spook investors. After Jobs‘ death, it looked as if Ive had received even more responsibility at Apple. He expanded his role from strictly physical industrial design to digital user interface as well. Then, in the summer of 2015, Ive received a promotion to chief design officer. The news was announced in a British newspaper on a bank holiday Monday. When Ive left, Harper Alexander, his handpicked lab manager and right-hand man, left the group, too — he now does corporate recruiting for Apple. Many analysts, such as Above Avalon’s Neil Cybart, still believe that Ive is one of the most important people at the company. „With Jony Ive positioned as overseer of Apple design, his influence on Apple’s product direction cannot be overstated,“ he wrote earlier this month. But earlier this spring, Apple’s iPhone SE launched without a product explanation from Ive, as most previous Apple products had received. And he kept a low profile at the launch event — only one reporter who attended told us he saw Ive, while many others said they thought he wasn’t there. Ive contributed voice-overs to the launches of the iPhone 7 and MacBook Pro this fall. 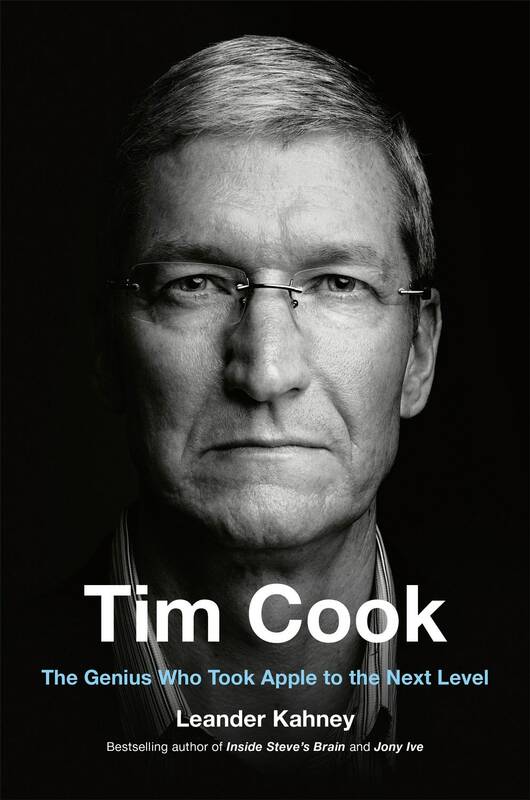 But as many have observed, he did more press, including two interviews, for his new book than he did for Apple’s latest products. Ive is certainly keeping a much lower profile than he did before his promotion. Despite Ive’s clear importance to the company and his role in Apple lore, the company does not list Ive as one of its six most highly compensated executives in Securities and Exchange Commission documents. The last time Ive was listed on a SEC Form 4, which is required whenever an „insider“ acquires or disposes of stock, was in 2009. It said he owned 28,127 shares of Apple stock at the time. There’s been a 7-1 split since then. Simply put, nobody outside Apple knows how much Ive makes, even though we know what the rest of Apple’s executive team makes. Shareholders do not know what Ive makes. It could be massive, or he could already be collecting a nominal salary because he’s effectively retired. It’s impossible to tell. Making it harder for investors to gain clarity on the situation, Ive has traditionally run a leak-free, extremely secretive ship. Even Snell and Gruber, with their inside Apple sources, realize there is only so much an Apple employee would know, given that Ive’s team has traditionally worked apart from the company, especially the software engineering department. Former Apple exec Scott Forstall, who developed iOS, could not get into Ive’s lab with his senior vice president ID card, according to a biography of Ive. The team was small, at fewer than 20 members, although it has grown recently and now includes user interface as well. Few people ever leave the group, although Daniel Coster, a longtime member, was wooed by GoPro. These team members sit together at lunch and are fiercely loyal to one another. If anyone knows if Ive is no longer showing up to the shop, it’s them, and they’re not talking — to other Apple employees or the press. Apple did not respond to a request for comment. Of course, Ive could just be head down, working on Apple’s next big thing — the successor to the iPhone that will ensure the company remains the world’s most admired for years to come. Snell suggests that the Apple Car, now seemingly on the back burner, was an Ive passion project. That’s certainly plausible. One of the reported goals for the Apple Car project was to retain top talent who might be bored working on incremental iPhone improvements. But it’s much harder to see Ive driving the development behind a pair of smart glasses, or augmented reality, which Apple is currently working on. Ive’s studio is currently located on the ground floor at 2 Infinite Loop, with a direct passageway to 1 Infinite Loop, where Cook and the rest of his executive team members meet weekly. When Apple moves into its new „Spaceship“ Campus 2, the industrial design group will get the best location on the ring. They’ll be on the fourth floor, in a new 30,000-square-foot studio. They will have a view of much of Apple’s campus. It’s a symbol of how important the industrial design group led by Ive has been to Apple. When the team moves in, will Ive be there, looking at the campus he designed and helped build with them? Or will he be off in England designing retail stores, the Apple Car, or Christmas ornaments for friends? Dieser Eintrag wurde veröffentlicht in Innovatoren und getaggt mit Apple, Johny Ive am 23. November 2016 von innovation. All the cool companies have them: digital assistants. Apple has Siri, Microsoft has Cortana, and Google has the cleverly named Google Assistant. Now, Samsung plans to bring its own iteration of a virtual assistant in the Galaxy S8 next spring, according to a new report from Reuters. The assistant will be based on work by Viv Labs, a San Jose-based AI company that Samsung acquired this October (the move immediately fueled speculation that Samsung was moving into the AI space). The founders of Viv Labs already have a strong track record in the field as the creators of Siri, which Apple bought in 2010. But the company is entering a crowded market. Apple paved the way with Siri, though its early lead is shrinking after the launch of Google’s Assistant, which can tap into Google’s well-established knowledge graph and search capabilities. And there’s always Amazon Alexa, which already has a home in the smart-home devices the Echo, Dot and Tap. Dieser Eintrag wurde veröffentlicht in Artificial Intelligence und getaggt mit AI, Apple, Cortana, google+, Microsoft, samsung, Siri, Viv am 10. November 2016 von innovation. It’s a great phone, but where’s my headphone jack? At a glance, you’d be hard-pressed to tell Apple’s new iPhone 7 and 7 Plus models, which go on sale Friday, from their 2015 and 2014 counterparts. They look almost identical, and are the same sizes. But once you get your hands on them, the differences are clear: better cameras, longer battery life, water resistance, doubled memory at essentially the same prices, and more. Oh, and upon closer inspection, you’ll notice something else: the disappearance of the age-old, standard, perfectly fine audio jack that fits every earbud and headphone you own. Yeah, I know. I’m not crazy about that change either. I’ve been using both the 4.7-inch iPhone 7 and the 5.5-inch iPhone 7 Plus for nearly a week, equipped with the much-improved iOS 10 operating system (which will be available for older models as well starting today). And I’m impressed. But I’m also annoyed. And impatient. All at the same time. Let me explain. The most important thing about the 2016 iteration of the iPhone is that, overall, it takes a truly excellent smartphone and makes it significantly better in a host of ways, even without overhauling the exterior design, and despite the removal of the standard audio jack. From Apple’s usual long list, I’ve picked five big improvements that impressed me most. First, Apple is doubling the memory at every price point on both models, starting with 32GB at the low end ($649 for the smaller iPhone 7) and going all the way to 256GB ($969 on the costlier iPhone 7 Plus). The increase in base memory is long overdue, but it’s great to see higher memory at essentially the same prices on costlier models (the larger Plus costs $20 more this year than last). Then, there’s battery life. Apple claims it’s adding two hours of battery life between charges to the smaller model, and one hour to the bigger one. This is mainly because of a bigger battery plus a clever new processor, which uses low-power cores for routine phone functions and only kicks in high-power cores when needed. Battery life on phones is notoriously hard to test, because it depends so heavily on what you’re doing, and on how hard the phone has to work to find a strong cellular or Wi-Fi connection. Still, in my short test period, on both coasts, the new iPhones had great battery life. The bigger Plus easily turned in 13–15 hour days, often with power left in the tank, doing a wide variety of tasks. For instance, my test iPhone 7 Plus was at just a few minutes shy of 14 hours with 14 percent left, when I got to my DC-area home after flying from San Francisco and using the phone heavily on cellular networks, and hotel, airport, and airplane Wi-Fi. That’s a scenario I usually find to be a battery-killer, unless I charge. The smaller model was typically in the 12–14 hour range, even after hours of streaming video and music. Then there’s water resistance — the ability to withstand being submerged in a toilet, sink, or puddle for long enough to fish it out and still find it fully functioning. (Samsung phones have been water resistant for a while.) I left an iPhone 7 submerged in a large mixing bowl of water for about 20 minutes (it can go deeper and longer, Apple says — 1 meter for 30 minutes). It was fine when I fished it out and dried it off. No rice needed. The only effects were somewhat gravelly sound quality for about 5 minutes, and an admonition not to charge it for five hours thereafter. Next, cameras. In my opinion, as a determined amateur who has never bought expensive cameras, the iPhone already had the best camera I owned. But Apple has redesigned it, with a larger, f/1.8 aperture that pulls in more light, a better flash, and the ability to capture a wider range of colors. Yet that’s just the start. On the smaller iPhone, the camera now has optical image stabilization, which limits shaky shots — a feature available only on the larger model last year. And that costlier iPhone Plus now has two cameras, one a wide-angle version and one a telephoto version. Through software, they act as one single camera with easy, elegant controls. With just the tap of a button labeled „2X,“ I was able to get vivid, detailed shots at true 2x optical zoom, not the grainy digital zoom smartphone users have been wise to avoid forever. For me, and I suspect many other average folks, real zooming is a huge deal, bigger than some of the more esoteric effects photo hobbyists might value. In fact, this beautiful zooming dual camera is the first feature I’ve seen that might lure me to a large-screen phone. And then there’s the operating system. This isn’t a review of iOS 10, which is a separate product from the iPhone 7. But, since it comes with it out of the box, the two are wedded. And I found almost every aspect of it to be faster and better. Lock screen notifications and widgets, and the Control Center are more logically organized and easier to use. Messaging, Maps, Music, News, and other features are improved. And then there are small things: for instance, to my surprise, the phone even automatically saved a map and directions of where I’d parked my car. The phone is also faster, its screen is brighter, and it has stereo speakers. But I wasn’t wowed by these things in my testing. You might be. Apple has also replaced the home button with a non-mechanical, non-moving button that uses a vibration „engine“ to simulate the feel of pressing a button. Three people I know said it felt like the whole bottom of the phone, not just the button, was being pushed. But it didn’t bother me, and it’s one less mechanical component to break. What did bother me was the aforementioned removal of the headphone jack. Yes, Apple has a long history of removing (and also pioneering) standard components, going back to the removal of the floppy disk from the first iMac in 1998. I have often complained that Apple was acting too soon, but I always agreed that the move made sense at some point, because the displaced component (the floppy, the optical drive, the Ethernet jack) were being used less and less and there was something better (optical drives, the cloud, Wi-Fi) to replace them. In this case, I see zero evidence that the 3.5mm audio jack is being used less or has hit a wall. It’s happily transmitting music, podcasts, and phone calls to many millions of people from many millions of devices as you read this sentence. Apple says it needed replacing to make more room for bigger batteries and other components. I also don’t see that Apple has come up with a better replacement. The company is clearly trying to move the whole industry toward wireless audio, which has never been great due to patchy Bluetooth connectivity, poor fidelity — especially for music — and limited battery life. As a transition, the iPhone 7 includes Apple’s familiar white earbuds — and a free adapter — only with a Lightning connector at the end instead of the standard audio plug. It sounds the same. But now you can no longer charge your phone while making long phone calls or listening to music without a bulky adapter or dock. I label that worse, not better. Apple says very few people do charge and listen at the same time. I respectfully disagree. Next month, Apple will ship its take on wireless Bluetooth earbuds — called AirPods — which it hopes will solve some of the old wireless headphone woes and push the transition. Using a custom chip called the W1, the sophisticated AirPods supposedly make Bluetooth connections steadier and Bluetooth audio better. In my tests of preproduction AirPods, they delivered on these promises. And I could charge the phone while listening. But the $159 AirPods only give you five hours of music listening time and two hours of talk time between charges, though they come in a handy little white case that provides 24 hours of additional juice. Apple notes that it’s proud of those numbers and that a 15-minute charge in the case gets you another 60 percent of rated battery life. It adds that if you use only one AirPod for phone calls, and keep swapping it out for a fresh one, you could talk on and on. Still, to me, they impose a limitation that standard, wired earbuds don’t have. Not only that, but you have to charge the case periodically. Oh, and they kind of look like white plastic earrings. So, you should hope that’s your style, if you’re planning to buy them. I’m sure the wireless earbud and headphone revolution is upon us now, and that, in a few years, the battery life will double or triple. For now, though, this Apple change of a standard component adds a hassle to your phone use, whether you are wired or wireless. It’s an annoyance and a negative. I am impatient for Apple to do a top-to-bottom redesign of the iPhone, and the iPhone 7 isn’t it. Apple concedes this and strongly suggests a dramatic redesign won’t appear until next year, the iPhone’s 10th anniversary. Let me stress: I am not for a redesign just for the hell of it. There are good reasons to change the look and feel of the iPhone, some of them evident in Samsung models. For instance, Samsung and others manage to fit a large screen like the one on the iPhone Plus into a smaller body and still squeeze in a big battery. But the iPhones still have big footprints for their screen sizes and big top and bottom bezels. Another example: the iPhones still lack wireless or inductive charging. Adding that might require a redesign. The iPhone remains an outstanding smartphone, and this latest model makes it even better in many ways. And, unlike rival Samsung, Apple isn’t beset with the very serious problem of exploding batteries. But the whole audio jack thing makes choosing the iPhone 7 more difficult than it might have been. You won’t go wrong buying the iPhone 7 if you can tolerate the earbud issue, especially if you’re on an installment plan like Apple’s that just gets you a new iPhone every year. You could get the iPhone 7 and then the big redesign next year, as long as you keep paying the monthly fee. But, despite the undisputed improvements, this new iPhone just isn’t as compelling an upgrade as many of its predecessors. Some might want to wait a year for the next really big thing — and maybe a better audio solution to boot. Dieser Eintrag wurde veröffentlicht in Gadgets und getaggt mit Apple, Iphone am 15. September 2016 von innovation. Facebook it’s Hell Inside. Facebook Scandals. Backstabbing. Resignations. Record profits. Time Bombs. In early 2018, Mark Zuckerberg set out to fix Facebook. Is GDPR the new hacker scare tactic? Delete all Your Apps – Android and iOS’s Apps make money by selling your personal data and location history to advertisers.